YEREVAN, Armenia -- Prime Minister Justin Trudeau suggested Saturday morning the incoming Quebec government's plan to raise the legal age for smoking cannabis to 21 could leave an opening for organized crime. 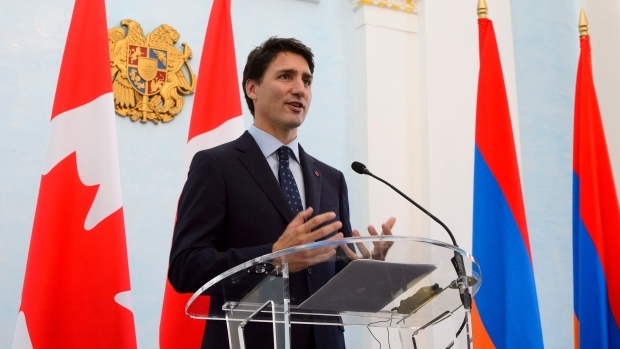 Speaking to reporters on the last day of a trip to Armenia, Trudeau said increasing the legal age could undermine one of the federal law's key aims -- eliminating the black market. 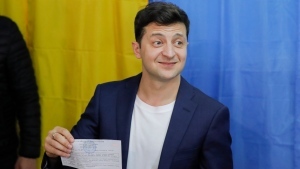 "If we eliminate the segment of the population between 18 to 19 and 21 years, which is a population often in university, often in areas where they'll try to consume, we're keeping an important segment of potential consumers for the black market," he told reporters in Yerevan. The prime minister said he understands that some people would like to prevent those under 25 from consuming marijuana due to the substance's impact on brain development, but that doing so would "maintain a black market." "We believe that setting the legal age to (match) the age of alcohol consumption is a compromise that makes sense," he said. "The government of the (Coalition Avenir Quebec) hasn't even established its cabinet yet, so (there are) a lot of decisions to make," he said. "We'll share our perspective ... and we'll have the necessary conversations at the right time and place." While Legault has promised to raise the legal age to 21, those changes won't be in place when cannabis becomes legal on Wednesday.